“The areas covered by cohesion policy are becoming more demanding and the expectations in it are getting higher”, said Franz Schausberger, representative of the Land Salzburg in the CoR, speaking at the occasion of a conference entitled “EU Finances and the Future of Europe local view” in Brussels on 5th of December 2017. To respond effectively to the phenomenon of dramatic rural depopulation across Europe, cohesion policy must continue unabated, even after the end of the current period of 2020. Subsequently, an urgent need to significantly improve the capacities and know-how of regional and local politics and administration is substantial. Furthermore, for Member States it is essential, in cooperation with their regions and local authorities, to develop development strategies as the basis for successful EU projects. The EU would need to reduce the bureaucracy required to obtain financial support, simplify procedures and avoid duplication of checks and controls. Günther Oettinger, EU-Commissioner for budget and human resources, emphasized that he wants to set new priorities in the areas of research, Erasmus and in the future and the young generation in addition to the previous priorities of cohesion policy. The new tasks in the field of migration and the Brexit failures should not be financed by cuts in cohesion policy. 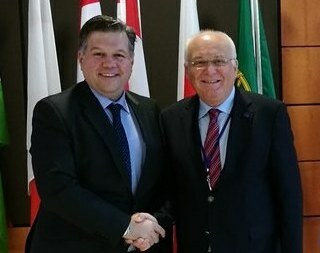 The difficult issue of the reform of the electoral law of Bosnia and Herzegovina was the focus of a conversation between Deputy Foreign Minister Josip Brkic and Franz Schausberger, Chairman of the Western Balkan Working Group of the European Committee of the Regions, in Brussels on 5th of December. BiH will hold election at all levels in October 2018. Until then, the election law has to be changed according to the constitution of BiH. 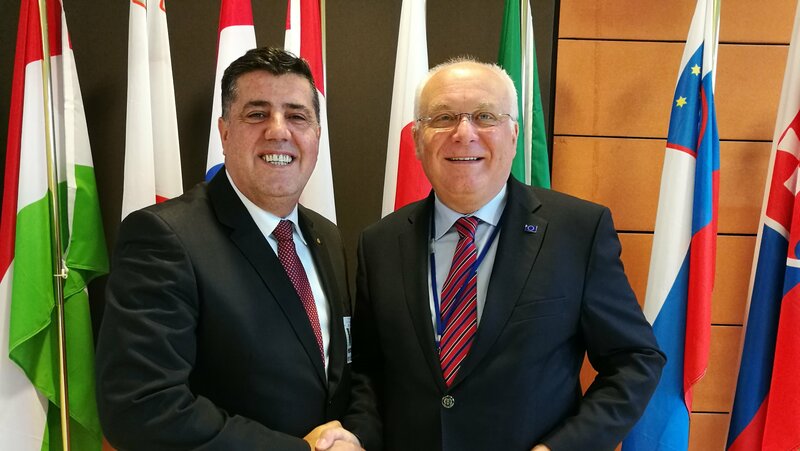 On 5th of December IRE-president Franz Schausberger met Lufti Haziri, Mayor of Gjilan, Kosovo. Mr. Haziri informed about his initiative to create a transborder municipal cooperation project between the cities Kumanovo (Macedonia), Trgovište (Serbia), Preševo (Serbia) and Giljan (Kosovo). This cooperation should lead to a transborder micro region.